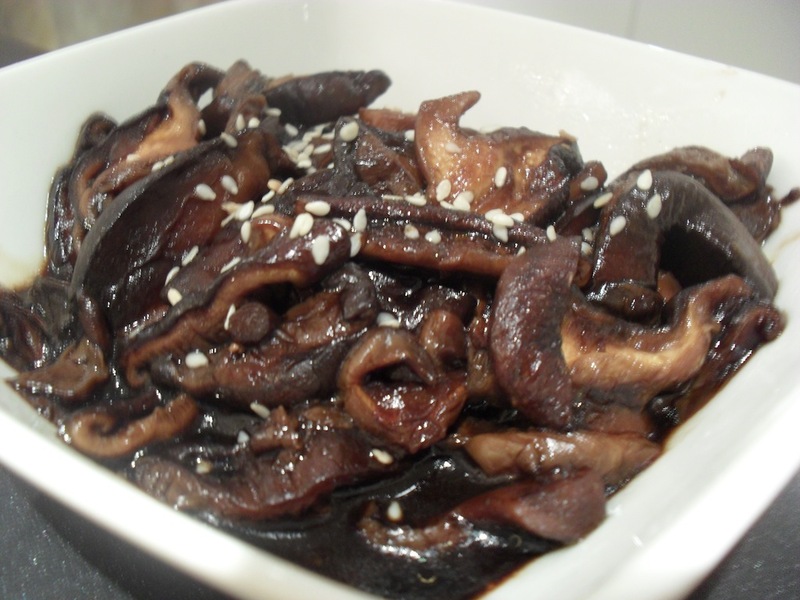 Beoseotjangjorim 버섯장조림 is one of many Korean side dishes (bachan) made from any kind of mushrooms. 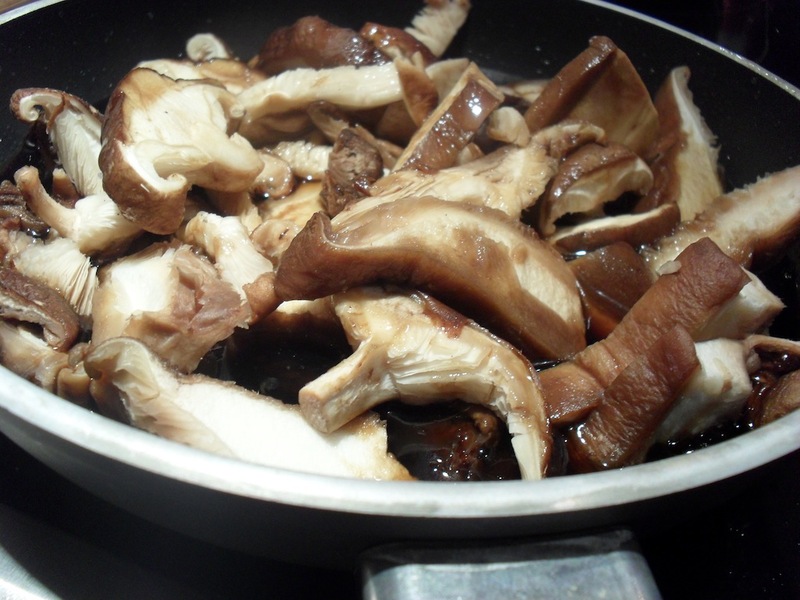 The best ones for thsi recipe are oyster mushrooms, but I’m using shiitake. Prepare sauce from the remaining ingredients. Pour it into a heated pan, add mushrooms. Cook until the sauce is reduced to minimum. Sprinkle some sesame seeds.